Music is such a big part of your wedding, but often times the last thing on your list to find because it can seem overwhelming. We have the recipe for creating the right mood for each aspect of your wedding. Here are a few tips to think about while planning your big day. We will provide each of these and more, so that you can sit back and be reassured that your wedding will be the most magical day of your life! Processional: This is the music that accompanies the walk down the aisle. You'll need to pick a song for your bridesmaids to walk down the aisle to, and then a song for the bride's entrance. 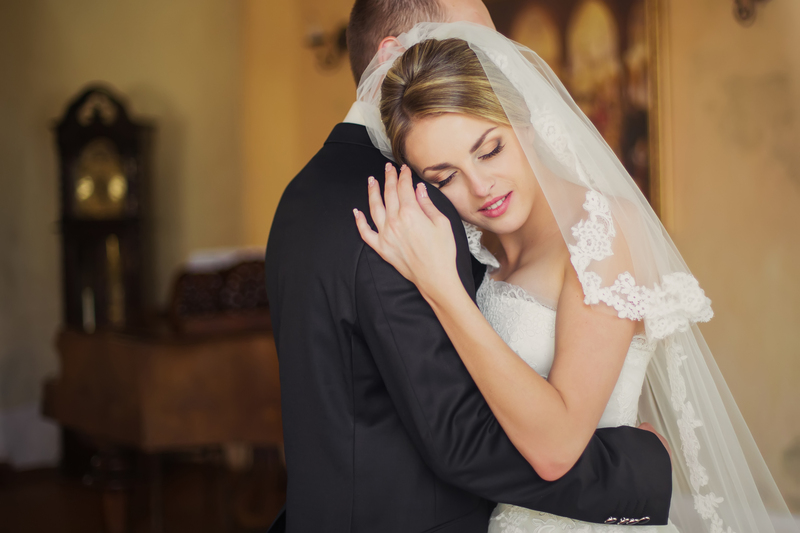 There are traditional choices like "Here Comes the Bride," of course, but you can do other classic alternatives like Pachelbel's Canon in D (like in Father of the Bride) or something totally different to personalize it. Love a song but not the lyrics? Have an instrumental version played. Cocktail hour music: If you choose to host a cocktail hour between the ceremony and reception, it's good to have a playlist of songs to set the mood. The music should be low-key but convivial — you're not trying to get anyone to dance yet, but you don't want to put anyone to sleep either. Reception entrance: This is a song to mark the bride and groom's entrance into the reception, usually with the wedding party in tow. It should be celebratory, not unlike the recessional song, and it's a good chance to set the tone for the party. If you want to introduce your wedding party first, you'll also need a separate song for them. The first dance: Yes, everyone knows they need a first dance, but most people struggle trying to find the perfect song. If you don't already have "your song,"
Father/daughter dance: Traditionally, the father of the bride takes a spin with his daughter on the dance floor after the first dance. It can be something personal or traditional, and if you need some father/daughter dance song ideas, we've got them. Similarly, some couples also have a mother/son dance or simply integrate that into the father/daughter dance at the end. Reception music: Whether you pick all, most, or some of your dance music depends on how in control of the playlist you want to be. Even if you given us free rein, you may want to make a Do Not Play list — a list of songs that you really don't want to hear for whatever reason (you might not want your reception to be remembered for trying to bring back "The Macarena"). For songs you do want, though, we have lots of ideas, from fun pop hits to '80s songs. To end the evening, some couples also opt to have one song close out the event (doesn't The Wanted's "Glad You Came" seem perfect for this?). Bouquet toss: For this fun part of the wedding, another upbeat song is in order, and since you're commanding the wedding's single ladies to the floor, you can go literal ("Single Ladies") or just pick another fun, romantic song. And if you choose to have a garter toss, the same rules apply. "Mister was Amazing! They played every song we asked for and got my family dancing...and they don't dance! I would recommend them for every wedding in town!"